It is essential that a husband and wife become one. This is not an act of the flesh or a cliché spoken at a wedding. It is a process that requires participation with God, and only He can accomplish it. The fact that many husbands and wives hide things about themselves from each other is a result of needs and desires in the core of their being that have been left unfulfilled. Jim Bell’s new Xulon Press book, Become One: Is It Really Possible to Become One When Men Hide Lust and Women Hide Money ($11.99, paperback, 978-1-60957-882-4), explores and reveals those core elements that must be understood and fulfilled as husbands and wives participate with the creator in the process of becoming one. After reading this book, marriage will become an essential part of the reader’s life rather than an addition to it. The author and his wife have been in ministry since 1981. They have ministered to youth, on radio, worked in evangelism, and have pastored several congregations. Their most rewarding and fruitful ministry has been in the areas of deliverance and marriage counseling. It is those two specific strengths that have been combined in this book to bring deliverance to the soul of marriage that is being ripped apart by so many forces in the world today. Xulon Press, a division of Salem Communications, is the world’s largest Christian publisher, with more than 8,000 titles published to date. Retailers may order Become One through Ingram Book Company and/or Spring Arbor Book Distributors. 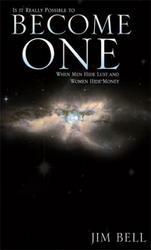 Become One is available online through xulonpress.com/bookstore, amazon.com, and barnesandnoble.com.